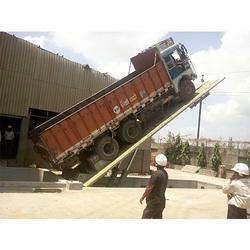 Backed by a team of dexterous professionals, we are able to supply a wide assortment of Hydraulic Truck Unloader. 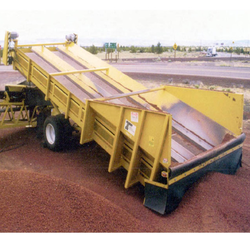 This product is used for lifting, loading, and unloading of heavy goods at construction sites. Offered crane is precisely manufactured with the aid of cutting-edge technology and using high-grade components. Also, our clients can get this product in varied specifications and at industry leading prices. The cycle takes 4-5 minutes. We are one of the prominent suppliers of precision engineered Truck Trailer Unloader. 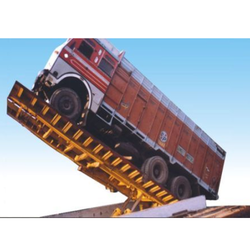 We have the technology, infrastructure, manpower and research facilities to fabricate a comprehensive range of Truck Unloading System that offer solutions for unloading sand loaded truck, chemicals in powder or lump form, coal, fruits and others. 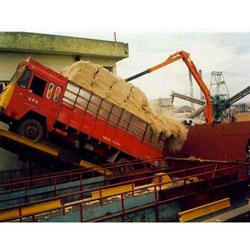 We are a reliable entity engaged in supplying an exceptional quality Truck Unloaders. 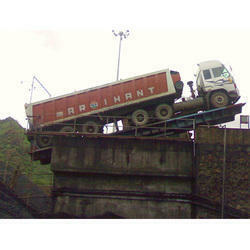 We are offering an excellent quality of Truck Unloader. Looking for Hydraulic Truck Unloaders ?